The following is a guest post by Marsali Taylor, author of the new mystery Death on a Longship. 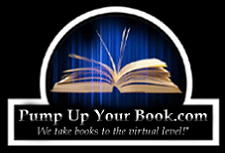 Further details on the book, the author, and the fantabulous Giveaway currently underway can be found below. Enjoy! My sailing heroine, Cass, is waiting at tables in a Bergen restaurant when she hears four businessmen discussing a film. It's the story of Gudrid, who travelled with her husband to Faroe, Iceland and Greenland, and was the first European woman in America. 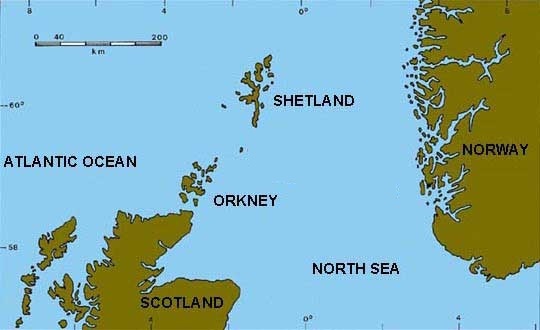 Shetland was crucial to Viking exploration. We were the crossroads of the North Sea. The Viking ships that set off to the west stopped here to take on provisions, particularly dried fish. The Viking longhouse excavated at the south of the island was a fishing station, and from the size of the fish bones, they were deep-sea fisherman too. 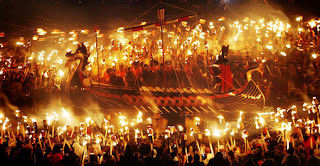 Without Shetland, the Vikings would never have colonised Iceland or Greenland, would never have made it to America - and my fictional Cass wouldn't have leapt at the chance of her life, skippering the replica longship for a high-profile Hollywood film. There's a surprising number of remains of Viking ships. Cass's Stormfugl - Stormbird - is based on the largest of them, the Gokstadt ship in Oslo, but she's also based on the Skidbladnr, a replica which is now the centrepiece of the Viking Unst exhibition. Before recent work on Unst, the most northerly island of the Shetland archipelago, it was thought that the fish trading station of around 800AD was Shetland's earliest Viking settlement. Now, it's known that settlers came to Unst first, around 735AD, and worked down Shetland to Orkney, then down both sides of Scotland to Ireland and England. Cass's crew were even able to supply their own Viking costumes. 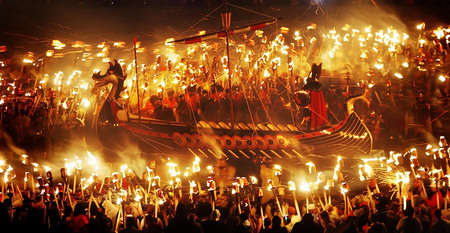 The fire festival Up Helly A, which takes place in Lerwick, Shetland's capital, in late January, is led by a squad of Vikings, stunningly attired in velvet tunics, shining breastplates and horned or feathered helmets. The Up Helly As taking place in the countryside aren't quite so spectacular, but the lead Vikings are still resplendent in swirling cloaks and sheepskin boots. No, there's no difficulty in getting hold of a Viking costume in Shetland, and the red-fair Viking look is still seen here too, so once the beard is grown and the hair let loose, you're pretty close to the real thing. Once filming begins, Cass is always conscious that she's taking her replica longship where the real Vikings took theirs. When she guides Stormfugl into the Hams of Roe, she reflects that, 'This would be my big test as skipper, to bring the ship in to shore without an engine, just as the Vikings had done, and in this place too. Hams came from the old Norse ‘hamar’, a landing place. I liked that idea.' Roe means 'red' - the island of Muckle Roe is the big, red island. The Vikings gave descriptive names: Swartaskerry, the black rock. Scarvataing, the point of the cormorants, or scarfs. 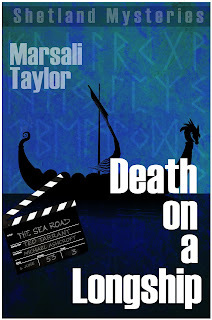 Death on a Longship is set in modern Shetland. But the people of the country districts of Shetland still have much in common with their long-gone forebears: the croft set in a long strip of land, with the scattald, or rough hill, to graze their sheep, and the boat rocking in the modern marina. They'd tell you Shetland is still Viking territory. About the Author: Marsali Taylor grew up near Edinburgh, and came to Shetland as a newly-qualified teacher. She is currently a part-time teacher on Shetland’s scenic west side, living with her husband and two Shetland ponies. 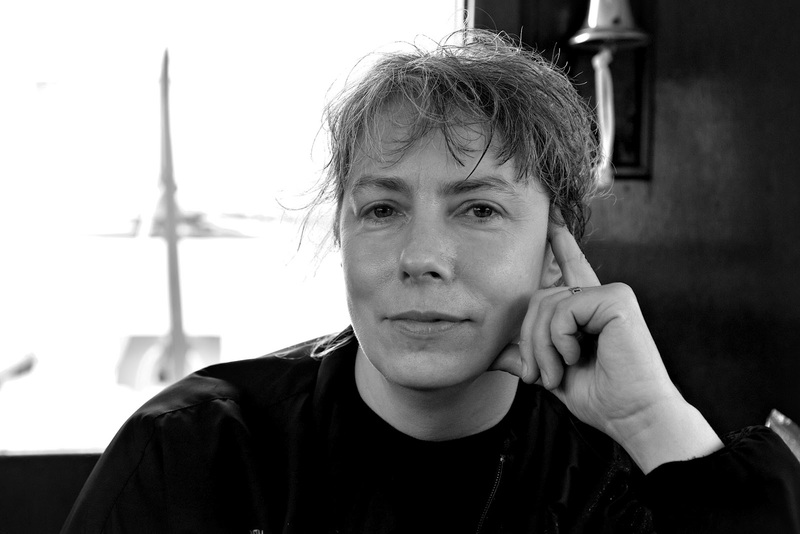 Marsali is a qualified STGA tourist-guide who is fascinated by history, and has published plays in Shetland’s distinctive dialect, as well as a history of women's suffrage in Shetland. She's also a keen sailor who enjoys exploring in her own 8m yacht, and an active member of her local drama group. Death on a Longship Jacket Blurb: When she talks her way into a job skippering a Viking longship for a Hollywood film, Cass Lynch thinks her big break has finally arrived - even though it means returning home to the Shetland Islands, a place she hasn't set foot on since she ran away as a teenager to pursue her dreams of sailing. When a dead woman turns up on the boat’s deck, Cass, her past and her family come under suspicion from the disturbingly shrewd Detective Inspector Macrae. 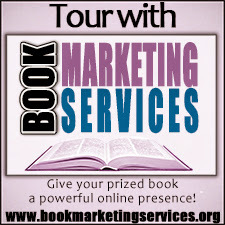 Giveaway Info: Marsali is giving away THREE prizes; a copy of Death on a Longship at each blog stop on her tour, a first place grand prize giveaway at the end of the tour of some silver Viking-inspired jewelry from the Shetland Islands, and a second place $15 Amazon gift card. 2) To win Viking-inspired Jewelry OR a $15 Amazon gift card: Enter using the Rafflecopter widget below. A first and second place lucky winner will be selected on October 1st. First place winner gets to choose which grand prize he/she wants. The second place person gets the remaining grand prize. Open to all countries. Thanks, Elisa. Here's hoping you get your chance to read it! I'm pretty much up for anything Scandinavian related! Count me in! r-ramos (at) live (dot) com. But it seems I may have missed the deadline. Curses! Hi, guys, and thank you for these encouraging comments - I'm really pleased you feel Death on a Longship sounds interesting. Whichever of you wins it, do let me know what you thought via my website www.marsalitaylor.co.uk or on Facebook. I've only had three reviews so far, but they've been really positive. Would love to read - as an ex Brit who studied a lot of the history of the U.K.- unfortunately I never did get to visit the Shetlands.